60 sheets input tray. Print Speed Black Up to 16 ppm. Print Speed Colour Up to 12 ppm. Black print resolution Up to 600 dpi, colour print resolution Up to 4800 x 1200 optimized dpi (from 1200 dpi input data when printing from a computer on photo paper). Supported paper sizes :Tray: Letter, legal, 4 x 6 in, 5 x 7 in, 8 x 10 in, No. 10 envelopes. Power Consumption :10 watts. Color :Grey. 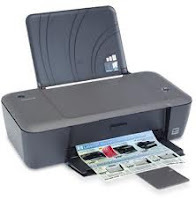 Related Posts of "HP Deskjet Printer 1000 Grey drivers"